Here is my review of X-Men: First Class, the fifth installment in the X-Men Film Franchise and a prequel to X-Men original trilogy. It was a long movie, so the review is a little long, too. Plus, I will attempt to tackle the question that continues to come up: How much should the movie follow the comic book (Christians, stay tuned as I will being some Jesus principles in to the equation in The Debate section). It is set in 1962 and revolves around the Cuban Missile Crisis, as well as the relationship between Professor X and Magneto, and the origin of their groups, the X-Men and the Brotherhood of Mutants. Plot: The movie begins with introductions of all of our favorites, only pint size. As in the first X-Men movie, it starts with a young Erik Lensherr/Magneto’s family is in a German concentration camp preparing for execution and a young Raven/Mystique breaking into a young Charles Xavier’s house for food. Kid Professor X invites her to stay and lives with the family as his sister while Erik is raised by the monstrous Dr. Schmidt, played by Kevin Bacon, to become one himself. 18 years later, now in the 1960’s, everyone has grown up. Erik (played by Michael Fassbender) has good control of his powers, even pulling the filling out of a man’s tooth in order to track down the doctor that destroyed his life. Mayra McTaggert, a CIA agent in the movie, is seen tracking a high ranking general going to meet the Hellfire Club. Enter two key characters: Emma Frost, the very attractive telepath and somewhat bodyguard of the main villain Sebastian Shaw (the true identity of Dr. Schmidt). Charles (played by James McAvoy), now a ladies man, has graduated from Oxford with his doctorate with Raven somewhat in love with him. Mayra finds Charles and asks for his help. We discover the plot: Sebastian wants to start World War 3 between the US and Russia by starting about the Cuban Missile Crisis. Good historical footage of President Kennedy and Russian President Khrushchev. Eventually, Charles and Eric meet up when both are unable to stop Shaw for two reasons: a. Shaw-soon-to-be-Magneto’s helmet prevents mind reading and b. Erik doesn’t have enough control of his powers. Erik and Charles begin recruiting mutants (Hank McCoy/Beast, Alex Summers/Havoc, Sean Cassidy/Banshee, Darwin and Angel Salvadore). They, after being attacked, train the young recruits to prepare for a showdown with Shaw’s pack of villains: Emma Frost, Azazel, Riptide. The climatic battle that results in: Magneto killing Shaw and getting his helmet, Charles getting shot by a stray bullet that paralyzes him, Mystique joining forces with Magneto, the Cuban Missile Crisis being averted and the world being introduced to mutants. We also got cameos from Hugh Jackman and Rebecca Romijin. Don’t stay for the end of the credits. They forgot to keep the tradition of sequel sneak peeks. Cast. The cast did a really good job in this one. I am always amazed actors can look like they actually have powers throughout an entire movie. Magneto is just a great character to have one screen. He, among many great scenes, pulled a sub out of the water and stopped about 50 missiles from killing all the mutants (making The Matrix’s Neo bullet freeze look like a magic trick). January Jones is an attractive woman, but they didn’t just cast a beauty to play the White Queen. She did the part justice, looking very much like her character on Mad Men. Plot. There was an actual plot here. The Minor Mutants. If you are going to invite lesser known mutants into the movie, I think you should do a better job of showing them off. We saw powers only. Should You Stay True to the Comic Cannon? This is a debate that is going to rage until Jesus parts the sky. In the meantime, I am one of those old fashioned guys. I think you have to stay true to the comics for a couple of reasons. Not sticking to the cannon dishonors the comics and the fans. I understand business is business. It’s all about making money. There have been several adaptations of Batman on TV, film and cartoons so that warrants some flexibility. With Christopher Nolan’s The Dark Knight raking in over $1 billion, everyone wants to change the story to bring in more people and more money. However, to quote the Joker from TDK, “It’s not about money. It’s about a message.” Or at least, it should be. There is a rich heritage of story here that has yet to be told from Marvel’s side. DC has been doing Superman and Batman for decades. The fans are what have kept the characters alive. To finally go the big screen to see your favorite heroes come to life, only to have the experience cheapened by a Hollywood exec that wants to get paid and entertain people, really is insulting. It’s a compromise that tells the fans, “Thanks for reading all these years. We’ll take it from here and…run it into the ground.” It is saying the stories themselves aren’t enough to make it on the Big Screen. It’s a setup for dismal movies. When you deviate from 50 years-worth of stories to make movies by people who openly admit in interviews “I never read the comics” leaves fans and movie-goers leaving saying, “What was that?” Do I need to compare Iron Man with X-Men Origins: Wolverine? It is a classic struggle with anything that has an original foundation, like Christianity. There is always the temptation as Christians to deviate from the Scriptures or the life God calls us to lead in the pursuit or a fresh or different story. The end result is always a dismal life, a dismal soul. There is a reason why the originals have stood the tests of time and the rest have fallen by the wayside with every generation. In their heart of hearts, people don’t want mere fun. They want the truth. 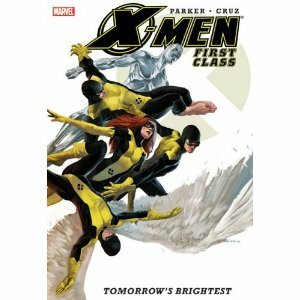 The first class of X-Men were: Scott Summers/Cyclops, Jean Gray, Hank McCoy/Beast, Bobby Drake/Iceman and Warren Worthington III/Angel. 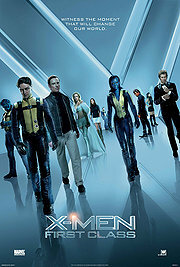 The movie portrays Havok as older than Cyclops with no Jean, no Cyclops and no Iceman. This first class is Beast, Banshee, Mystique and Havok. Sebastian Shaw killing Magneto’s parents? Please! Charles and Mystique growing up together? Charles getting shot by a bullet that reflects off of Magneto? Mayra gets the almost Superman 2 kiss to make her forget the whole movie? To me, it’s weakness. That brings us to a B.